When we first got our hands on the Samsung Galaxy S6 and S6 Edge, we were a bit surprised to see their specs didn’t include microSD slots or water resistance. Now it looks like Samsung is bringing these lacking features to 2016’s flagship devices, because a source briefed on the company’s plans has released new information about the Galaxy S7 and the S7 Edge. So what all do we know? Well, according to this source, it seems like the Galaxy S7 and S7 edge will both be water and dust resistant up to IP67 certifications and support external storage up to 200GB. What’s more, we’ve gotten some more concrete details regarding screen size. The S7 will have the same screen size as its predecessor, the Galaxy S6, at 5.1 inches. However, the S7 Edge is getting a bit of a size boost. Whereas the S6 Edge likewise clocked in at 5.1 inches, the S7 Edge’s curved display will be 5.5 inches across the diagonal. We’re expecting the same resolution on both devices, and that’s 1440×2560 in Super AMOLED. Chip-wise, it seems Samsung will be rocking a homebrew Exynos 8 Octa 8890, which is partially based on an ARM reference design. This system-on-a-chip boasts four 2.3GHz cores and an equal number of more efficient 1.6GHz cores. It’s possible, however, that North American S7 variants will sport Qualcomm’s Snapdragon 820. In terms of memory, both devices are looking at 4GB of RAM and internal storage variants of 32GB and 64GB. We were kind of expecting a 128GB variant to make an appearance as well, and that may still be in the cards. We’ll have to wait and see. The S6 line suffered from a little bit of a disappointing battery. Fortunately, the S7 will be getting a 3000mAh non-removeable battery, and the S7 Edge will get a 3600mAh one. These are certainly steps up from the 2550mAh and 2600mAh their forerunners offered. Wireless charging time on both devices looks like it will be in the ballpark of ~2 hours. Finally, the camera. This is a little bit of a puzzling move from Samsung, because apparently they’ve downgraded the S7 line’s main camera’s resolution from 16 megapixels to 12 megapixels. It’s true that there’s more to image quality than just resolution, but it’s still a bit odd. The 5 megapixel selfie snapper appears to be unchanged from the S6 line. These specs are as of yet unofficial, but we’re certain to know more by the 2016 Mobile World Congress in Barcelona in February. Samsung has a long track record of unveiling their devices just before the conference, so be sure to check back for more details then. 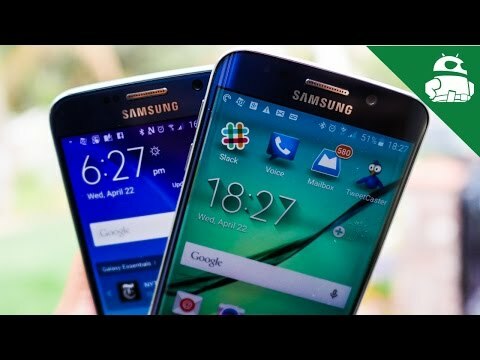 What are your thoughts regarding the Galaxy S7 and S7 Edge’s newly leaked details? Let us know in the comments below!